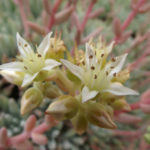 Dudleya virens subsp. 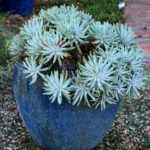 hassei is a perennial, succulent plant, up to 6 inches (15 cm) tall, with branching stems bearing rosettes of up to 4 inches (10 cm) long narrow chalky-gray leaves. Flowers are small, yellow-centered, pale white, on 1 foot (30 cm) long stems in late spring. Most of the myriad habitats Dudleyas occupy become dry in summer. 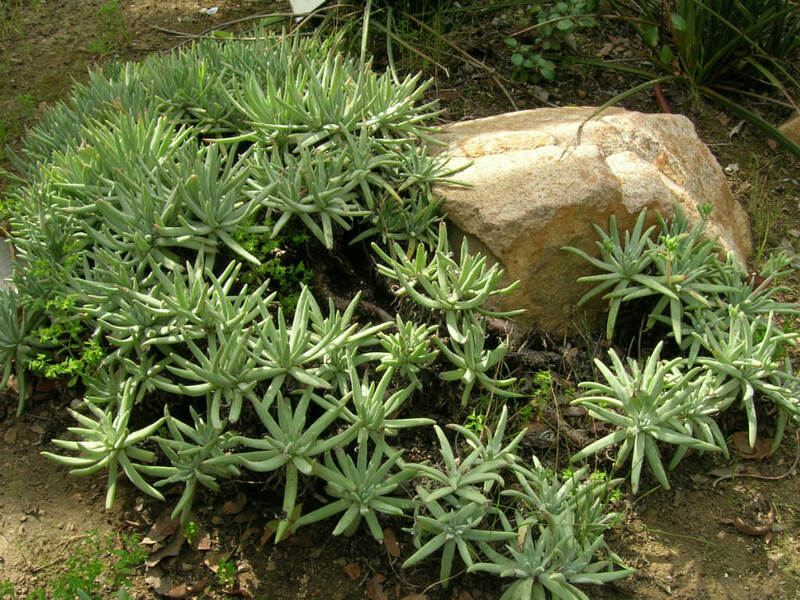 Therefore, it is important to cut off water to Dudleyas in your garden during summer. 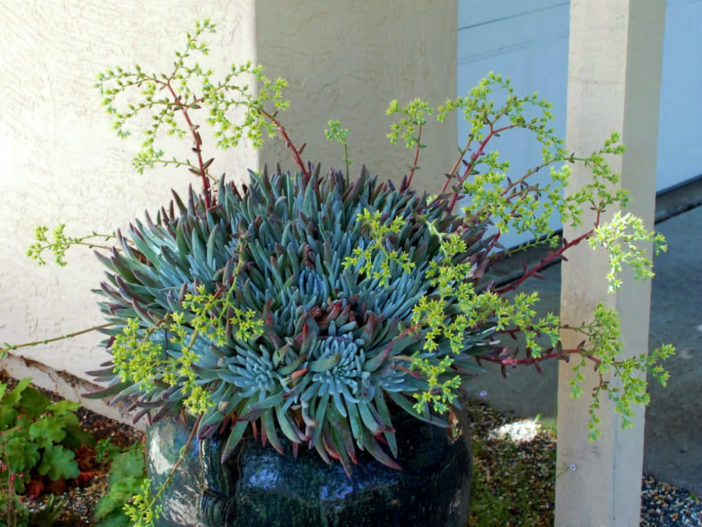 Plants grown in sandy soils or containers are exceptions; they will accept infrequent summer watering as long as the soil drains well. The onset of fall or winter rains reawakens Dudleyas from drought-induced dormancy. Their shriveled leaves plump up quickly, growth resumes, and flowering occurs during the next spring or summer. Dudleyas are amazingly resilient; if a portion of a colony sloughs off a cliff face or is uprooted by a burrowing animal, it can persist for months until soil contact is reestablished. Species that naturally grow on ocean bluffs are also salt-spray tolerant. 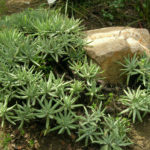 Dudleyas have their share of disease and pest problems. If you can prevent Argentine Ants from introducing mealybugs or aphids to your Dudleyas, they will be healthier. 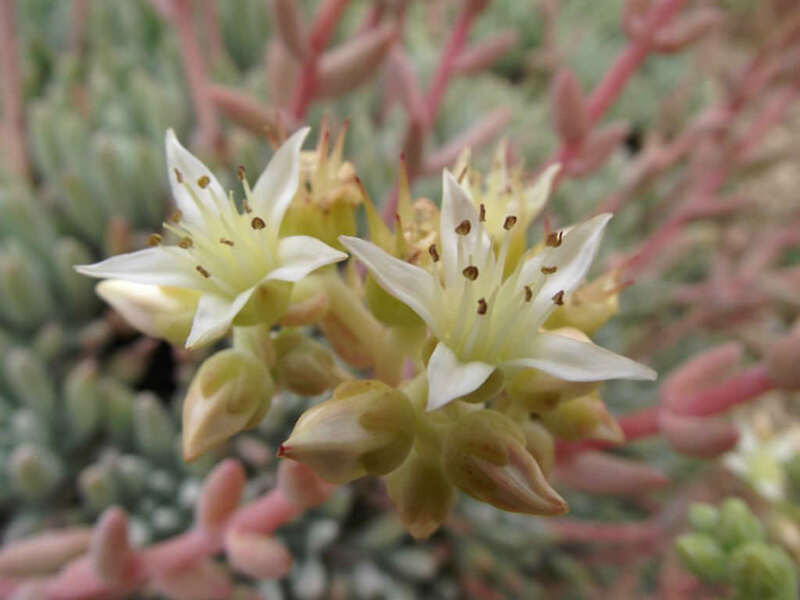 Mealybugs nestle in the deep recesses of the leaves, and their feeding weakens the plants… – See more at: How to Grow and Care for Dudleya. 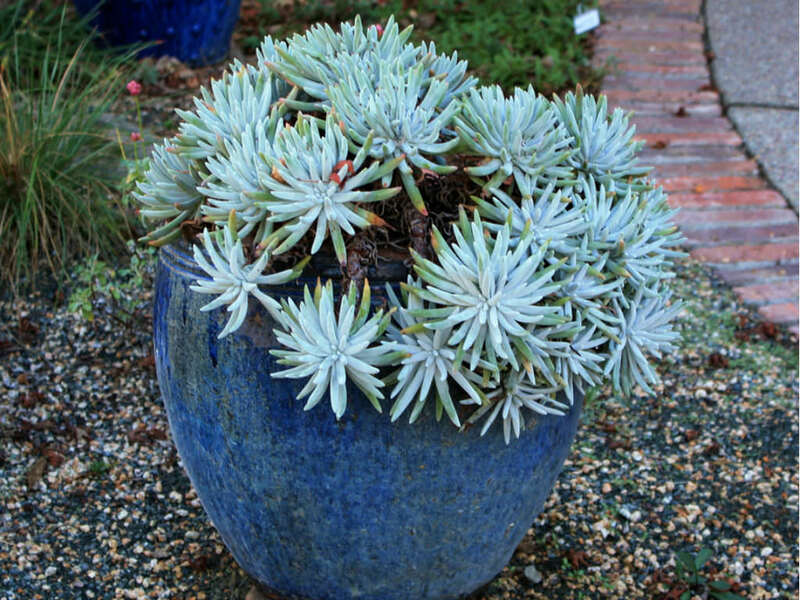 Native to Catalina Island, California.